The combination pill is a type of birth control pill. It's a hormonal method of oral contraception that is taken daily to prevent pregnancy. The combination pill contains the hormones estrogen and progesterone (progestin). These hormones stop the ovaries from releasing an egg, thicken the cervical mucus, and thin out the lining of the uterus. This prevents pregnancy from occurring by keeping the egg and sperm from reaching each other and implanting in the uterus. When taken correctly, the combination pill is up to 99% effective. Can You Take the Combination Pill If You're Breastfeeding? While you can take the combination pill if you're breastfeeding, it is not a preferred method of contraception for breastfeeding women. 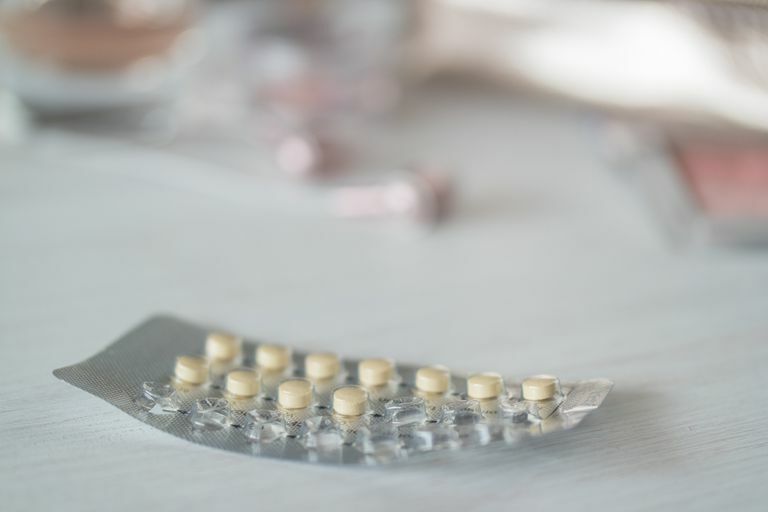 The estrogen in the combination pill is not considered dangerous to the baby, however, estrogen can cause a decrease in the supply of breast milk. If it's possible, avoid using the combination pill while you're breastfeeding, and choose a different method of birth control. There are many forms of birth control that are safe and effective for nursing mothers. There are circumstances when the combination pill may be the only option. In these instances, choose the lowest dose possible and hold off on starting the pill until at least 4 to 6 weeks postpartum when breastfeeding is well established. Be sure that your doctor knows that you're breastfeeding. Tell your doctor about your health history before she prescribes any type of birth control. Take the pill at approximately the same time each day. If you don't take the pill at the same time each day, if you forget to take it, or if you're sick and vomiting, the pill may not be effective. Do not start taking the combination pill, or any type of hormonal birth control, if you are already struggling with a low milk supply. Do not start the combination pill until at least 4 to 6 weeks postpartum when your milk supply is established and breastfeeding is going well. If possible, wait until your baby is 6 months old, or even weaned. Keep a close eye on your milk supply when you begin taking the pill. Look for the signs that your baby is getting enough breast milk, and take your baby to the pediatrician for her regularly scheduled well visits to be sure that she is growing at a healthy, consistent rate. If you notice a decline in the amount of breast milk that you're producing, notify your doctor immediately. If your milk supply declines due to the pill, you may have to supplement your baby. Common side effects of the combination pill include nausea, weight gain, breast tenderness, headache, and breakthrough bleeding. To prevent more serious side effects, the combination pill should not be used if you have certain health conditions such as a history of blood clots, heart disease, or a previous breast cancer diagnosis. Talk to your doctor about your medical history and current health issues. Smokers who take the combination pill are at an increased risk for developing blood clots. If you are over 35 years old and you smoke cigarettes, you should not take the combination pill. If you are a smoker under 35 years old, discuss the possible risks with your doctor. If you are over 35, healthy, and do not smoke, it is considered safe to take the combination pill. The pill does not protect against sexually transmitted diseases (STDs). Callahan, T., and Caughey, A. B. Blueprints Obstetrics and Gynecology Sixth Edition. 2013. Lippincott Williams & Wilkins.